There are no age restrictions when it comes to enjoying a day trip on the Northern Belle. Embark on a dramatic adventure and enter a magical world without ever leaving the train. Time is precious so spend it with the ones you love. Our train is perfect for multi-generational travel. 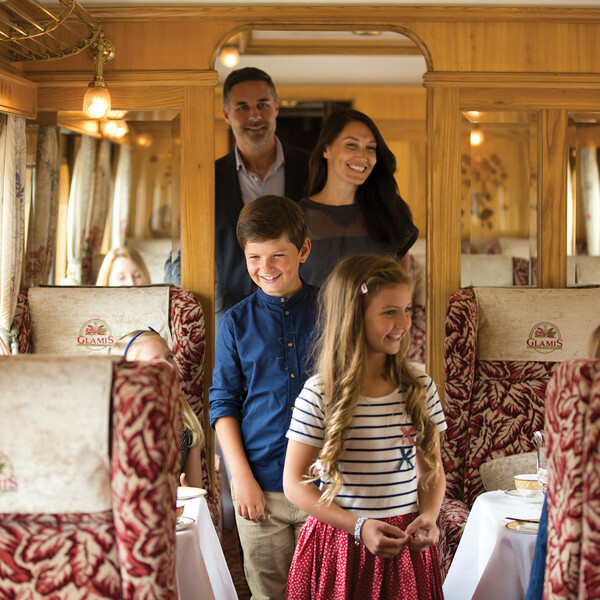 Our younger guests may choose to dine from our Station Masters menu with unlimited soft drinks and receive a complimentary goody bag with activities for the journey and gifts to take away. Whether it's a day trip to Alnwick Castle - the filming location of Harry Potter or a catch up over a Sunday Lunch this is a unique way to create special memories for all the family.